Steep 1 infusion at 2 – 3 minutes. This well-made, 2nd Flush tea is simply delicious. It is of the ‘Delight’ style, which in a 2nd Flush harvest means that the leaf is a bit on the large side and that there is a coppery-golden hue to the liquor. 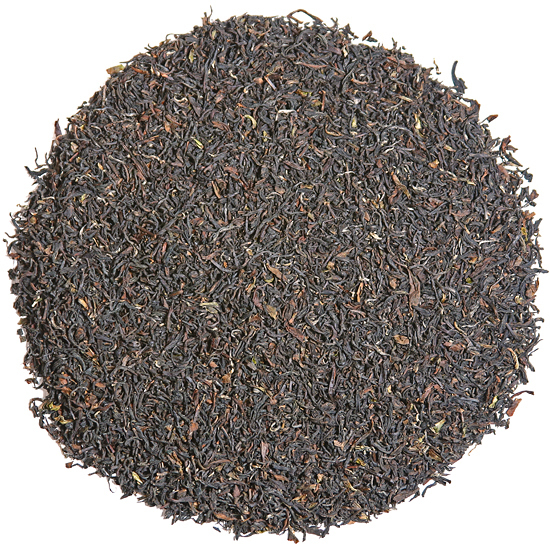 The taste is classic muscatel 2nd Flush Darjeeling but with a freshness and light character that prevents any astringency or bitterness from developing when the leaf is steeped. Singbulli Tea Estate offered this tea to us and we jumped at the opportunity to source it. The leaf is well-formed, large in size, and shows some tip and no modern ‘German green’ style leaf. 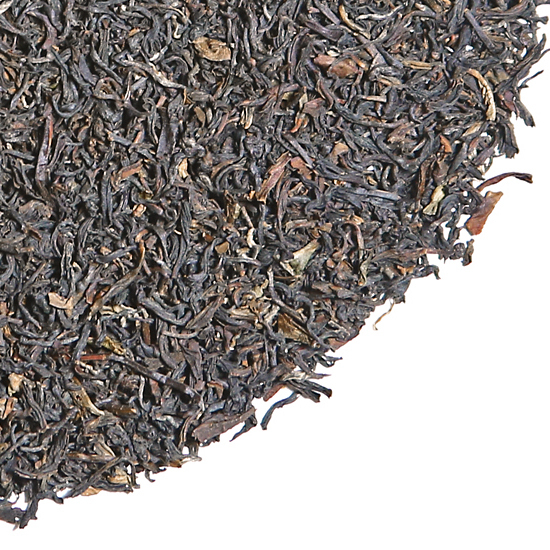 The dry leaf is classically dark and rich in color, showing shades of umber and cordovan, with a shiny red tinge that we rarely see in a contemporary Darjeeling. The leaf is well-twisted and shows good length. Clean, brisk, and of a quality that is quite distinctive, the aroma of this tea readies the palate for a taste treat. The first sip is very clean, crisp and smooth, with a gentle astringency that intrigues the palate. The aroma continues to show a clean, brisk and rich style as the leaf steeps. There is a complex natural sweetness in the aftertaste that lingers pleasantly on the palate for quite some time. Though generally soft in style, no coaxing of flavor is required from this leaf that fills the mouth with busy sensibility. Tea Trekker’s Singbulli ‘Delight’ 2017 2nd Flush could be described as light, but pure. There is a depth of flavor to this tea that is partly because it is so full-bodied, and partly due to the rounded, classic taste that envelopes the palate.